Allow us to help you find your personal statement. "We Fit Your Style …Come Try Us On!" Due to the epic snowstorms this winter, please call if you are planning to come in near the end of a blizzardy day. The Eye Clinic and The Optical may close early. Let's be careful out there!! EXCITING PARKING NEWS: The North Ramp is now completed, offering over 500 parking spaces! Do you need sunglasses when it's not sunny? Absolutely!! Click here to see why in this Washington Post article that was featured in the Star Tribune. 2018 is bringing exciting changes to the 50th & France area. Parking may be challenging for a bit, but the final outcome (including MORE parking spaces!) will be worth it! Click here for updates on the project and click here for info on FREE VALET PARKING!! Call us at 952-920-5050 today. 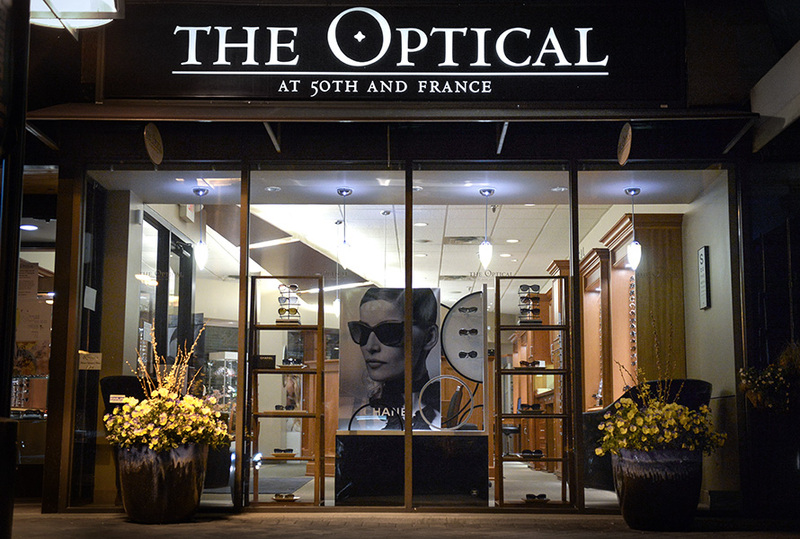 The Optical at 50th and France is an independent, locally-owned small business in Edina, Minnesota. Our dedicated team strives to provide the finest in optical products and services in a fun and comfortable setting. We invite you to browse our website to learn more about us, or better yet, stop in to see us in person! Clients throughout the Twin Cities come to The Optical at 50th and France because they know they will be treated with the personal attention and professional care that is our foundation. We are affiliated with the Edina Eye Clinic and we also accept current prescriptions from other clinics. We have four highly-skilled, board-certified Ophthalmologists upstairs who are available to provide a comprehensive eye exam. We also accept current prescriptions from other clinics. "The Optical has a great selection of frames - fun, unusual, funky, and classic styles. But the real strength lies in the staff. They know what suits you, what looks great on you and how to get you the best fit. The atmosphere is fun, the space is tidy and efficient and it is an all-around enjoyable experience to get glasses there."